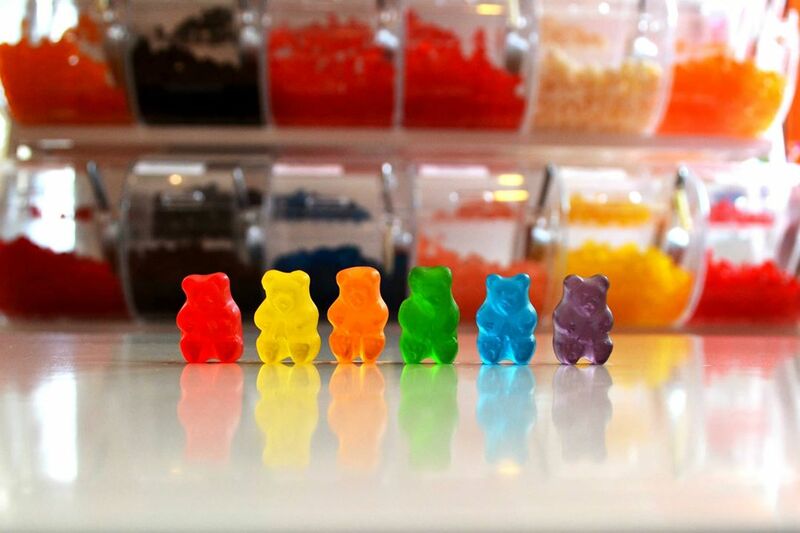 I love Candy, but then again, it’s difficult to think of anything made with sugar that I don’t adore. 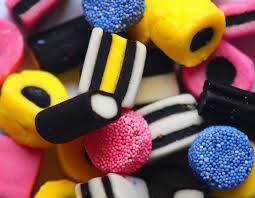 And I’ve always had a particular fondness for Licorice — especially Allsorts. 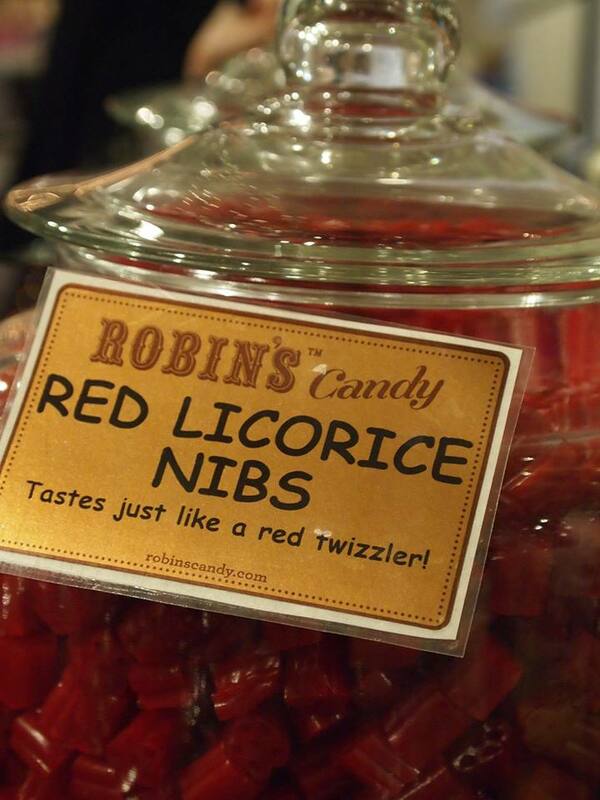 But what exactly is Licorice Candy? 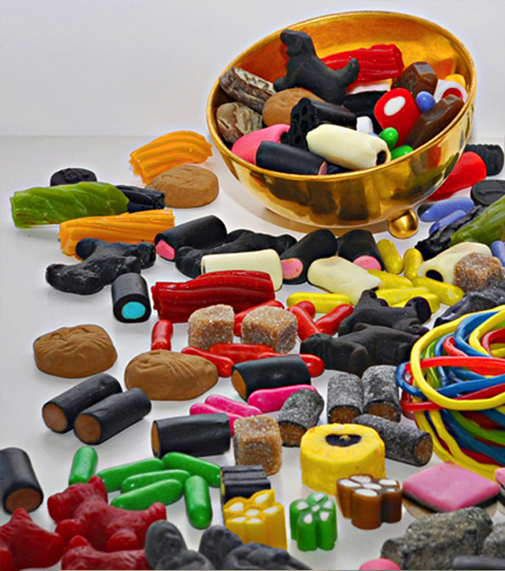 According to Beth Kimmerle’s book, Candy: The Sweet History, Licorice is Candy flavored with the oil extract of a European or Asian Licorice root plant. And Licorice Extract is naturally 50 times sweeter than sugar. Robin Helfand, owner of Robin’s Candy, with locations in Boston and Great Barrington, MA, summarizes the differences between Black and Red Licorice and explains why European Black Licorice is so popular. “In the 10 years since we began developing ‘Licorice Bars’ at our shops, our guests have become interested in trying more European Black Licorice — which is generally made with pure Egyptian or Sicilian Licorice root and often includes the mineral compound Salmiak (Ammonium Chloride). Salmiak triggers the salt receptors on the taste buds and enhances the overall Licorice taste. 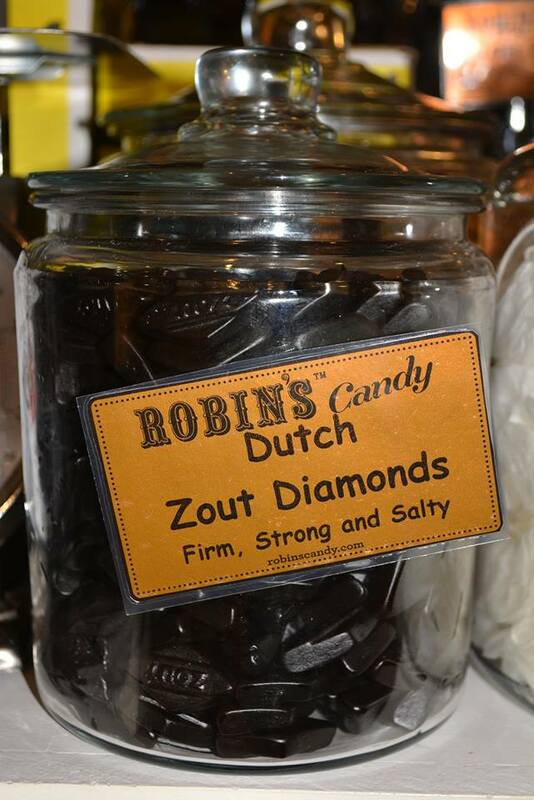 Robin attributes the growing popularity of Salty Licorice to an increase in the number of adventurous eaters who are eager to sample unusual, novel, and/or international foods. 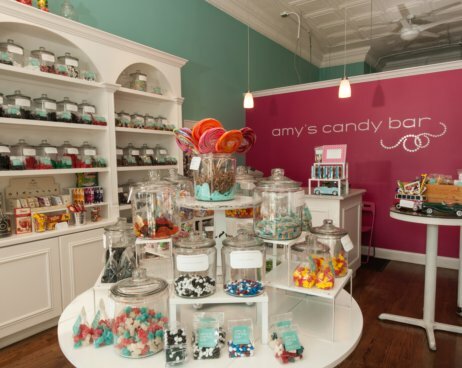 The most requested variety of Licorice at Amy’s Candy Bar in Chicago is Soft Black Licorice. 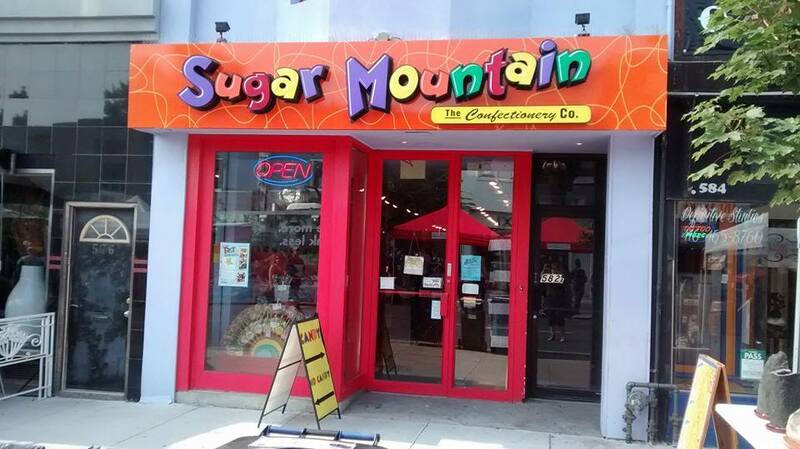 The owner, Amy Hansen, thinks Licorice is becoming more popular because people are more open to trying it and discovering the nuances in all of the different varieties. She usually carries between 15 to 20 different types and every few months she brings in a new type to try. 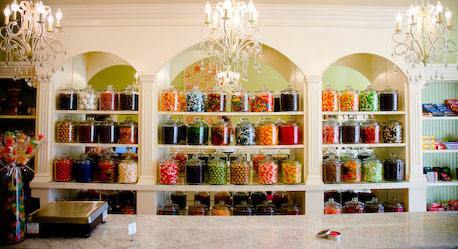 Amy thinks Licorice that is both sweet and salty is gaining in popularity in this country. 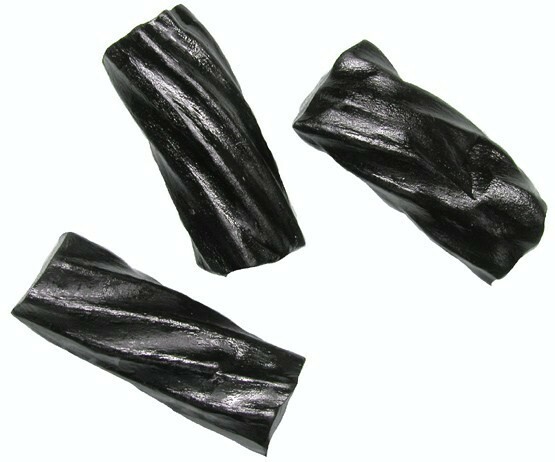 While Salted Black Licorice is becoming more popular, there will always be people (myself included) who still fancy more sugary Licorice. 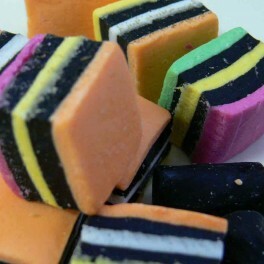 I think it’s time for some Allsorts! Very colorful and tasty too! A good read.